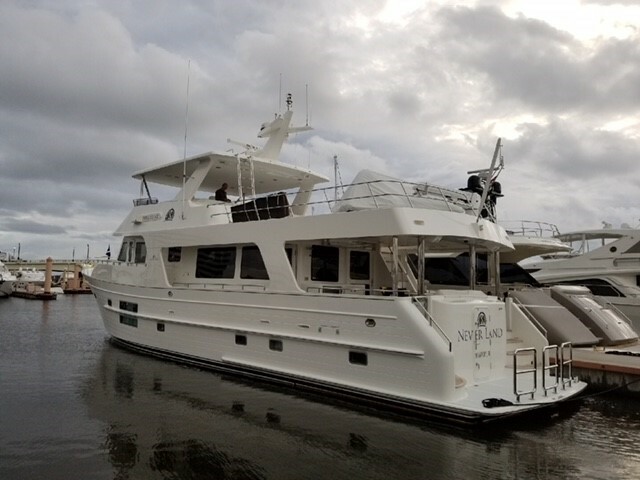 Captain and Outer Reef sales representative, John Dennison, helped owners of Outer Reef 700 Motoryacht "NEVER LAND" move her from Palm Beach Florida to Charleston, South Carolina. Photos here show "NEVER LAND" leaving on a rainy May morning, at the start of her journey. 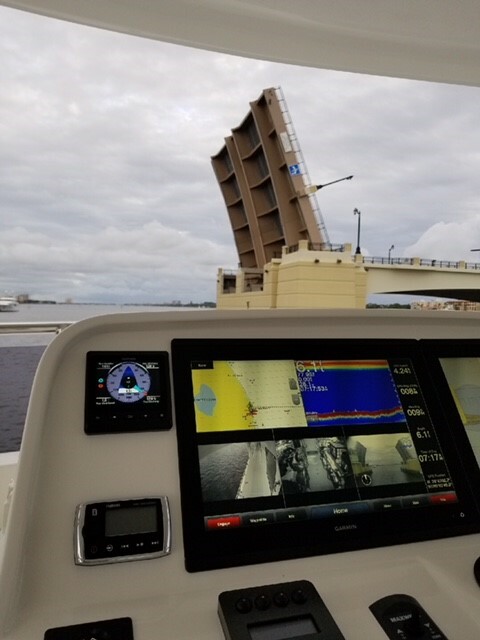 For more information on the award-winning 700 Series, click here.